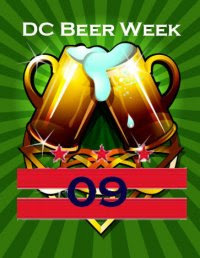 DC Beer Week (16-21 August 2009) —organized by DC beer guru 'Hoppy' Jeff Wells and Chef Teddy Folkman of Granville Moore (and other Washington, D.C. area chefs and beer folk)— has announced its inaugural line-up. A week-long celebration of beer culture in the nations capitol. With a line-up that features more than a dozen breweries and 25 restaurants across the district, the Inaugural DC Beer Week is set to kick off on Sunday, August 16th. The 6-day event will kick off with a Suds Celebration and concert at the Rock and Roll Hotel. Daily tastings and presentations by domestic and international breweries will be available every day at participating restaurants and bars. This series of events is still being planned but the following events below are confirmed. The first annual DC Beer Week will kick-off in style celebrating two life’s greatest pleasures- music and beer! This indoor day-long event will emphasize the diversity of the DC music scene with bands displaying musical flavors such as Reggae, Dub, Funk, Folk, Rock, Blues, and Metal. There will also be a limited amount of first come/ first serve “VIP” beer tasting tickets available for $20. Tasting tickets will consist of 10 -4 oz. pours of hard-to-find Craft Beers. The Pug has gained a reputation as a place “where the locals go”. Always playing great tunes on their sound system, free cheese puffs, fooseball, and an extensive selection of craft beers in cans- The Pug is sure to be a good time. Proprietor Tony T. and crew open their arms to the good beer-drinking loyalists of Washington, DC. Come meet-and-greet with Rob Tod, President and Brewmaster of Allagash Brewing Co. at Granville Moore’s. A so-called “Gastropub with a Belgian Fetish” Granville’s Chef Teddy Folkman will be preparing 5 courses paired with 6 great beers from Allagash Brewing Co.
Come experience regional breweries paired with their regional cheeses and sausages. Big Hunt Beer Director Dave Coleman will be offering great beers on-tap from such world class breweries as Allagash, Bells, Brooklyn, Dogfish Head, Troegs, and Victory. 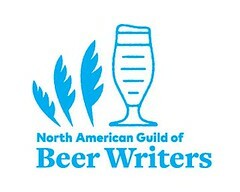 Brewery representatives will be on-hand to discuss the beers and share great stories of the Craft Brewing movement. Come to one of DC finest restaurants to sample a selection of great beers from Delaware’s world-renowned Dogfish Head Craft Brewery. Dogfish Head brand rep Devin Arloski will be on hand with glassware and other goodies. Chimay Blanche on draft and vintage Chmay Grande Reserve paired with Chimay cheese. Come chill and relax at the Reef and experience a taste of Oregon. Fresh, Yequina Bay Oysters from Newport, OR will be flown-in for this special event. The Reef’s Chef Connor will be preparing other delicious dishes paired with the complex, tasty beers from Newport’s Rogue Ales. Come join in on the fun and experience the ultimate pairing to great cheese- craft beer. The folks from NY’s Brooklyn Brewery will be teaming up with one of city’s finest fromaggiers- Cowgirl Creamery- to present a vast array of flavorful beers and individualistic cheeses. Come experience a true Southern tradition- a crawfish boil. Abita Brewing Co. is the south’s most established craft brewery and a drink synonymous with the city of New Orleans. Chef Matthew Anderson of the Argonaut is known for his coastal cuisine and will be unleashing this customary communal dining experience for lucky attendees. The best way to appreciate something is to see how it’s made, come out to the District Chophouse and meet one of DC’s best brewers- Barrett Lauer. Brewery tours will be conducted and to celebrate DC Beer Week all of the Chophouse’s brews will be half-price from 3-7 pm. Join the folks at Restaurant Marvin as Beer Director Chris Surrusco will assemble an opportunity to “Hit the Cycle” of Belgian and Belgian-Style beers. Taste “Single”, “Double”, “Triple” and “Quadrupel” beers paired with delicious cuisine from Marvin’s Chef James Claudio. Attendees will have an opportunity to win two tickets to the Friday, Aug 21 Nationals vs. Brewers game. Mr. Belgium comes to Washington and he brought with him some potent, complex beers from the Mecca of brewing culture- Belgium. Come and join in on the action at one of Capitol Hill’s legendary taverns. There’s always a freak show going on at the Palace of Wonders. Join founders Jeremy and Matt from Shmaltz Brewing Co. as they present their delicious beers- Coney Island Lagers and Hebrew Ales. Rumored is a surprise performance by an authentic Coney Island Freak Show legend. Come to the “People’s Gastropub” and experience the great beers from Victory Brewing of Downingtown, PA. Commonwealth will be offering Beer & Food pairings, Beer Flights, limited release seasonal Victory beers, and two delicious Victory beers on handpump. Raise your glass to conservation and join FONZ Young Professionals at the fifth annual Brew at the Zoo. Attendees will have an opportunity to sample beer from more than 35 micro and regional breweries. This annual event presents a great atmosphere to sample great beer all for a good cause. I regret to inform you that a mistake was made on our part. Proper channels were not used with the Smithsonian Institute to get approval to include the "Brew at the Zoo" event as part of DC Beer Week. Please note that we will be removing this event off all forums. However, on a personal and business note, many of us will still be attending and I will be assisting in helping serve and educate people on many of the craft beers served that day. Come join brewers, beer lovers, and some of DC liveliest nightlife at the legendary Rock & Roll lounge- Club Asylum. 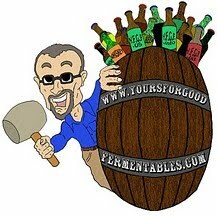 Come join Pete from Troegs Brewing Co of Harrisburg, PA and taste their award-winning beers. Authentic Troegs pint glasses will be given away throughout the duration of the evening. Come kick-off the end of DC Beer week with America’s National pastime- Baseball. DC Beer Week attendees will receive discounted tickets in selected areas of the ballpark. Suitably the Washington Nationals will be taking on the Milwaukee Brewers. Mezzanine seats for only $23 (regularly $30) and LF/RF Reserved for only $16 (regularly $24). To purchase, call Mike Benko of the Nationals at 202-640-7648 and mention “Beer Week”. “The world of Beer in the heart of the nations capitol” RFD (Regional Food & Drink) offers the city’s largest tap selection and over 300 bottled beers. To help celebrate DC Beer Week RFD will be offering special pricing on selections from Allagash, Bells and Dogfish Head from 4-8 pm. This page will be updated as new events are announced. An earlier post about the festival planning. This is a wholly different group than the one which organized the earlier May 2009 DC Craft Beer Week.